If ever there were a misunderstood and highly overlooked medical condition in modern times, it is celiac disease. 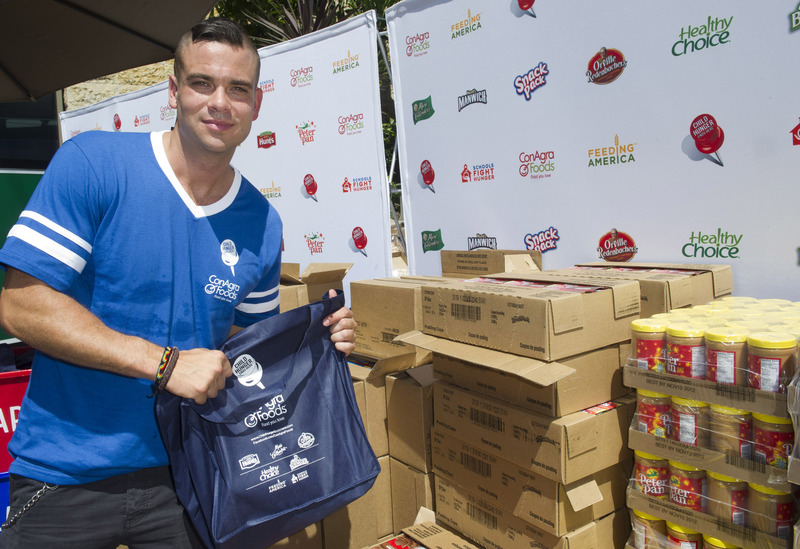 Celiac disease affects an estimated 3 million individuals, many of them children. Left untreated, this disease can damage the quality of life in so many ways — from neurologically-based depression and anxiety to skin problems to digestion problems and much more, including (rarely) cancer. Although celiac disease is gaining attention in the medical world, its symptoms are so varied that doctors often don’t see them as stemming from one disease. That oversight can leave individuals with celiac disease undiagnosed for years, which can be devastating. Even after diagnosis, there are considerable challenges, as the treatment is strict avoidance of all gluten, even in minuscule amounts. That can lead to social exclusion, which is difficult, especially on children. 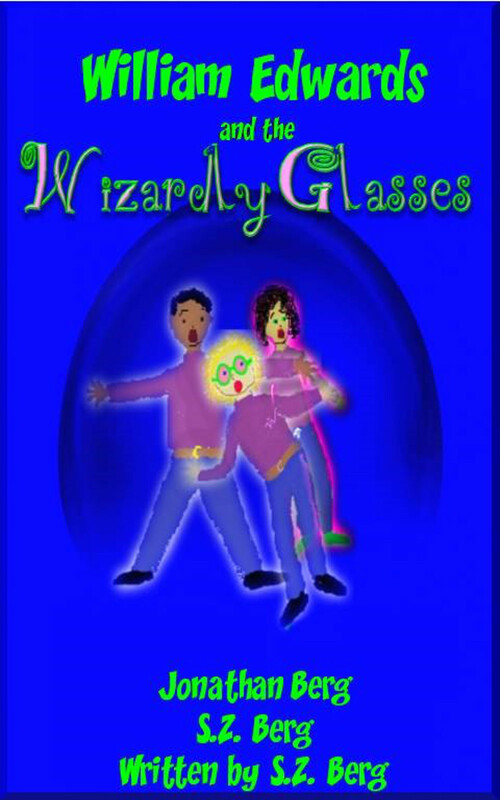 In my newest book, William Edwards and the Wizardly Glasses, my co-author and I try to entertain while empowering children with celiac (and food allergies). While dealing with social exclusion is important, it is only one aspect of dealing with the disease. I got a glimpse of the enormity of the consequences of having this disease and the impact a delayed diagnosis can have on an individual during my interview with Jennifer Esposito. You may know her from the hit TV shows Spin City and Samatha Who? or from blockbuster movies, such as Crash and I Still Know What You Did Last Summer. Now, Jennifer Esposito, who currently appears on Blue Bloods, has a new leading role: celiac disease advocate. What follows is my email interview with Jennifer. You can see my video interview with Jennifer here. S.Z. Berg: Tell us the story that led up to your being diagnosed with celiac disease. Jennifer Esposito: The story leading up to my proper diagnosis with celiac disease is a long one. I believe the average time it takes for someone to be diagnosed is eight years. For me, my diagnosis took 20 years. Prior to my diagnosis, my entire life was filled with random ailments, from stomach issues to constant sinus infections and panic attacks, just to name a few of them. I was given numerous diagnoses. I was told that my ailments were either the cause of having a “nervous stomach,” “irritable bowel syndrome” (IBS), and mostly an overworked and stressed out system. At one point, I was also told I was in “desperate need of Prozac,” but I refused to take such a thing for all of the physical symptoms I was having. In 2009, I almost gave up. I got to a point with my health that the medical advice/help I received wasn’t helping me get better or improving the way I [was] feeling physically: My knees would buckle when I walked. I was sleeping close to 16 hours per day and yet still didn’t feel well-rested. The stomach ailments where debilitating. My sinus condition had become intolerable. My panic attacks were making me agoraphobic. On top of that my hair was falling out and my skin was so dry it was flaking off and the color of it was a lively shade of yellow. I was shocked and yet thrilled. Thrilled to know finally what plagued me for so many years. Shocked because I had been seeing a gastroenterologist for the past five years and he never even said the word “celiac” to me. S.Z. Berg: What symptoms were you experiencing before being diagnosed with celiac? Jennifer Esposito: My symptoms were all over the board. From stomach upset, exhaustion, joint pain, sinus infections, dry skin and hair, panic attacks, depression, back pain — the list could go on. S.Z. Berg: Were you diagnosed right away, or did it take time for your doctor to figure it out? Jennifer Esposito: For me, it took 20-plus years for a proper diagnosis, not to mention countless […] doctors and specialists. To this day, I still deal with the side effects of being a celiac and repercussions of improperly being diagnosed over the years. There is a lack of proper education about the disease for consumers and only now is the medical field paying closer attention. S.Z. Berg: How long did it take for the panic attacks to stop and the depression to lift? Jennifer Esposito: There is a misconception that if you remove gluten from your diet, you dramatically feel better. This is not true. Yes, many of the stomach issues and other ailment start to subside, but this is an autoimmune disease. Like any other autoimmune disease, it needs your attention everyday! For a full-blown celiac patient there is no magic pill for this disease, not even a gluten-free diet. You must constantly be aware of what you are eating and maintain a healthy lifestyle and your vitamin and mineral levels. For me it has been a long journey… and one that I still am on. The severe panic attacks have subsided as well as the depression, but with one bad meal they are ready and waiting to come to the forefront. That’s why I am determined to educate and make people aware of the truth about this disease. I have created a blog called Jennifer’s Way […] to help people learn more about this disease and share my journey on the steps I took to help myself. The site includes tips, ideas, and advice on how to get started in this new life. I also share some of my favorite easy and good for you recipes that I’ve created. I’ve also founded Jennifer’s Way Foundation for Celiac Education to help make sure that going forward there is proper education about this disease in addition to helping to generate awareness to help people live a healthy gluten-free life. S.Z. Berg: What tests and/or procedures did you have to undergo in order to get a correct diagnosis? Jennifer Esposito: I had a blood test first that indicated that my case of celiac disease was “off the charts.” My celiac diagnosis was confirmed through an endoscopy. Both of which can come up false negative. It is imperative that you have correct testing. S.Z. Berg: What would you like to say to doctors, in general, about your experience? I believe that the medical industry needs to focus on treating the individual person, the whole person, body and mind and not about money and mass studies of a disease. Until then we are stuck in the one pill fits all mentality and that nutrition is something you look at after you get a poor diagnosis. It saddens me that so many are suffering unnecessarily. As this relates to me: My life is dramatically different and my health is a struggle everyday because of this negligence. The longer this autoimmune disease goes undiagnosed the worse it is for you. S.Z. Berg: Socially, do you feel excluded by your dietary restrictions? Jennifer Esposito: Life is completely different! Yes, exclusion is a big part of it. Of course, it’s not intentionally done, but it’s just not easy to be casual about food the way everyone else is. Try to imagine knowing that with every piece of food you put in your mouth there is the potential that it can make you very ill. It’s not a fun feeling… Going out for dinner becomes daunting and travel becomes sometimes impossible. Now we are also faced with a bigger problem. Gluten-free dieting is becoming a fad thanks to high-profile individuals who are removing gluten to achieve weight loss. This makes me want to scream! “Going gluten-free” may be a trend now, but there is a medical need, a dependency on being careful about not eating gluten and having meals properly prepared to prevent cross-contamination for the millions of people [who] have to deal with celiac disease. I’ve experienced odd looks at me from wait staff when I say I need my meal to be completely gluten-free with a “yeah right” kind of attitude now. People are becoming cavalier about gluten-free, because they believe it’s the new quick fix to getting skinny. Well for the people whose lives depend on it to live, lets just say we are not too happy about this. S.Z. Berg: Let’s talk about food. You’re Italian, and that means a lot of pasta and breads. How do you manage when eating with your family? How do you handle dining at restaurants? Jennifer Esposito: I do not come from your typical Italian family, so missing big Sunday dinners isn’t an issue. I did, however, grow up loving food, though. Throughout my journey, I’ve taught myself how to make everything from cookies to cake to bread to bagels. All good for you without gluten, dairy, soy, [nd refined sugar…. My recipes and the food that I prepare are loaded with fiber and protein. Most gluten-free foods out there are so nutritionally challenged it’s sad. I’ve created my “All-Purpose Flour” and “Old Fashioned Pancake Mix” for that reason. I want people to have a healthy gluten-free food option. S.Z. Berg: What advice can you give readers who think they may have celiac? Jennifer Esposito: My advice for anyone who believes they have celiac is to not wait for someone to believe you need to be tested properly. If you believe that you have celiac then you must have an endoscopy. Done correctly, it is really the only way to know for sure. I get many emails from people saying their cries have fallen on deaf ears for years. I beg you to go to a new doctor, one that will hear you! Undiagnosed celiac leads to more and more problems. The sooner the diagnosis, the better. Jennifer has a nonprofit organization, Jennifer’s Way, to help educate the public about celiac disease. Her Twitter handle is @JennifersWayJE. Patrick Kennedy has been a relentless fighter for the rights of people with brain disorders to have their diagnoses covered by insurance like any other medical condition. His focus has now become understanding the etiology of brain disorders and changing the way Americans view them by looking at them through the eyes of our soldiers. It is not possible to report the exact numbers of soldiers who have come home with traumatic brain injuries (TBIs) or post traumatic stress disorder (PTSD), because the Veterans Administration can only track soldiers who sign up with it. Further, these injuries can slip by undiagnosed in both veterans and active duty soldiers both because the soldier may not relate the symptoms to injury and because the symptoms may be considered by the soldier as signs of weak moral fiber and he or she may be unwilling to seek treatment. However, it is clear the numbers stretch into the hundreds of thousands. Invisible wounds in the brain are no less debilitating than lost limbs. In fact, they may be more debilitating (which is not to take anything away from the pain and suffering of any wounded soldier). PTSD affects a region of the brain that, when damaged, plays out in destructive behaviors that have led to an unemployment rate among some groups of veterans that is double that of civilians and to the breakup of families. As a result, the invisible wounds scar those who surround the affected soldiers, and they–their loved ones–have now become the newest victims of war. Worse, PTSD, with its nightmarish flashbacks, has too often proven too much for even strong soldiers to bear. Suicide rates nearly doubled between 2009 and 2010, according to an Army report on Guard and Reserve Soldiers. “We can’t allow suicide to claim more of our soldiers’ lives than killed in action, and right now it is,” Patrick Kennedy said. “[I]t’s precisely because these wounds are invisible that our response to these wounds have been inadequate,” he said. (While serving in Congress Patrick Kennedy introduced the Paul Wellstone Mental Health and Addiction Equity Act. Patrick Kennedy continues to work to get the Mental Health Parity and Addiction Equity Act of 2008 fully implemented. The Parity Act requires health insurers that cover mental health to provide the same amount of coverage as they do for other illnesses. “I see the epidemic of suicide by our soldiers as the result of not only the lack of good therapeutics and screening and diagnostics and treatments, I see it as a direct result of stigma,” Patrick Kennedy said. If these soldiers were wearing their wound in prosthetics, no one would question their wounds as legitimate or question their moral character or fiber, he continued. “[Our soldiers] suicide rates are the Sputnik for our generation,” Patrick Kennedy said. He pointed out that not treating these invisible wounds is a national security problem. “Among those [soldiers with these invisible wounds] are the people who are going to be in the [National] Guard and the Reserves,” he said. Patrick Kennedy has a different reason for helping soldiers and all Americans with brain disorders — it’s right thing to do, he said. He added that we all owe a debt of gratitude to the service people who are preventing another 9-11. On my blog on The Huffington Post, I wrote about my interview with former Congressman Patrick Kennedy and his fight for parity in medical coverage of the brain – no more carve outs. Years ago he pointed out to me that health insurers don’t carve out parts of the kidney, why should they be able to carve out parts of the brain? I thought that was a good point. The day I interviewed him, Patrick Kennedy was meeting with the Department of Labor (DOL) and the Department of Health and Human Services (HHS) on fully implementing the Mental Health Parity and Addiction Equity Act of 2008. He wants to make sure “we get the best regulations possible that will effectively implement the spirit of the parity law, which is that no one should be denied medically necessary treatment for an illness that is a mental illness,” he said. 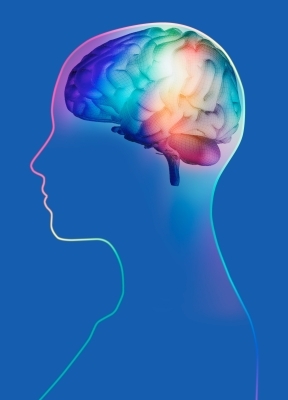 HHS and DOL are in the process of putting regulations into place to implement “the requirement of all health insurers to treat the brain as an organ of the body” to make sure all the symptoms of neurologically-based disorders are adequately covered, he said. However, and here’s where the rubber meets the road: We need to make sure the regulations are written to ensure the right treatments and coverage so as to make certain people are treated the same for a mental illness as they would for any other physical illness, he said (which is to say, no loopholes). 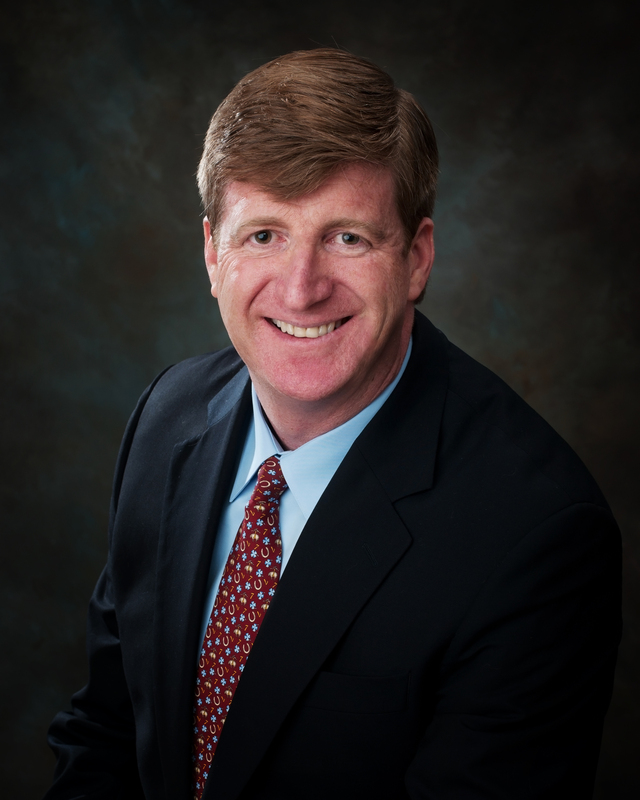 The intent of the Parity Act “won’t matter if it’s not put into practice,” Patrick Kennedy said. In my recent interview with Former Congressman Patrick Kennedy for my blog on the Huffington Post, he spoke about Moonshot, his project to launch the study of the brain as a whole to determine the overlap of neurological conditions and come up with new treatments. During that conversation, Patrick Kennedy expressed concern that many drug manufacturers are backing out of new drug development for brain disorders. Even though drugs, such as the blockbuster Prozac, are the industry’s biggest moneymakers, new drugs are not being developed. “They have not come up with a significant new breakthrough in neuroscience in a generation!” Patrick Kennedy says. 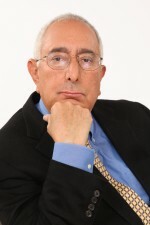 He attributes this failure to the Food and Drug Administration, saying that the rules of the game aren’t defined in a way that gives confidence to the venture capitals that, if they invest in the enterprises that do the research, they’ll benefit from it. The FDA does not have a regulatory model that’s conducive to the complexity of this type of medical research, he says. On the high end, it the industry claims it costs $1.26 billion dollars to bring a new drug to market, and it has less than a 2 percent chance of success. So, the industry’s money is better invested in a “me, too,” drug. So all you’ve gotten is “me, too” drugs. “None of us knows this because we keep thinking that the son of Prozac is a new drug, when it isn’t. They’re all the same,” he says. On the high end, it the industry claims it costs $1.26 billion dollars to bring a new drug to market, and it has less than a 2 percent chance of success. So, the industry’s money is better invested in a “me, too,” drug. Several years ago, Emmy-award winning actress Patty Duke shared a story with me. Back in 1970, at age 24, she’d walked off the set of a show on which she was guest starring. The actors had been told to take lunch and leave a tired crew behind to fix technical problems. She didn’t like the inequity. Outside the studio, she jumped onto a garbage truck with armed soldiers heading for an army base with a studio limo in pursuit to get the actress back to the set on time. As if this weren’t disastrous enough, she invited the armed soldiers — and their friends — more than 100 men in uniform — to the studio for lunch. Not surprisingly, she was summoned to Sid Sheinberg’s office. While she waited impatiently in his office for him to arrive, she picked up a Mickey Mouse clock he had sitting on his desk and tucked it into her pocket. When Sid Sheinberg arrived, Patty Duke threw his Mickey Mouse clock at him, but not before greeting him with a string of obscenities. No matter that Sid Sheinberg was president of MCA studios and a Hollywood powerhouse. She was angry. The whole scene could be written off as just another Hollywood actress behaving badly, but that was not the case. Patty Duke had bipolar disorder but was unaware of it. The disorder began for Patty Duke when she was just eight years old. It was then that she began experiencing terrorizing panic attacks. At age 16, when she was starring in The Patty Duke Show, she started having audio hallucinations and insomnia that would go on for days. Then, periods of depression set in, but it was only the depression she would allow her psychiatrists to see. She kept the mania her secret, until one day a psychiatrist witnessed it, gave her a correct diagnosis and prescribed lithium. Like Former First Lady Rosalynn Carter, Patty Duke believes that people who are well-known have to battle stigma for all who suffer by being public about their diagnoses as has Former First Lady Rosalynn Carter and Former Congressman Patrick Kennedy (who will be the subject of my next blog) and “demonstrate that we are functioning, not just talking about it,” she said. 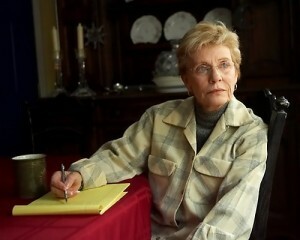 Patty Duke is also concerned about children and teenagers for whom she says the stigma is 10 times as powerful. Add to that the pain, terror and depression that are the symptoms of many brain disorders. “I remember wanting to give up with all of my heart and soul,” she says. At age 64, Patty Duke is deeply grateful she didn’t give up. “But it doesn’t mean that everyday I’m walking on air,” she notes. Still, she emphasizes that hope actually exists. She also wants people who are suffering from brain disorders to know that they are not the only ones. She meets so many people who think they are the only ones with bipolar. Patty Duke doesn’t know of any other way to reduce stigma other than to continue funding research for treatments. “I never thought I’d be saying this, but I’m coming to believe that without the money we’re just spitting in the wind,” she says. Research could move forward “if the government would stop cutting all the funding for mental health research,” Patty Duke says. “[I]t is cost effective to treat people with mental illness, and most of the time the treatments work and people return to the workplace, and they pay taxes. Why can’t we grasp that simple notion?” she asks. Patty Duke has addressed Congress on this matter three times. Because of a lack of funding, there’s a lack of organization. There’s no networking among community centers, she says, which echoes what Former First Lady Rosalynn Carter told me. “We can become a force. Right now, we’re a bunch of little forces,” Patty Duke says. Patty Duke has a fantasy (and she doesn’t think it’s a manifestation of her illness, she jokes) of all the people with these disorders marching on Washington, D.C. “There wouldn’t be anybody left home,” she laughs. “To the uninitiated it would be yet a further demonstration that we’re tired of hiding,” she adds, and she’s serious about that. In the end it comes down to each individual. “We have to be thoughtful about our votes,” Patty Duke says. Note: I was recently made aware of an organization whose mission it is to fight stigma associated with these types of brain disorders. Bring Change 2 Mind, an anti stigma campaign, was founded by actress Glenn Close and other like-minded organizations. For the next week, I will donate half the profits from my novel, MIND GAMES, to Bring Change 2 Mind. A 5-star rated thriller/suspense at both Amazon.com and Goodreads.com, at its heart, MIND GAMES is a story of one small-town journalist’s fight against stigma as she battles her own war on terror. You can also donate directly to Bring Change 2 Mind. For more by S.Z. Berg, click here. Former First Lady Rosalynn Carter has been an unrelenting crusader for people suffering from mental illness (which I refer to here as brain disorders). For more than 40 years she’s been working on promoting awareness of the issues, public policy, making health care insurance coverage for these brain disorders comparable to traditional health care coverage, and reducing stigma and discrimination against the people who suffer from these brain conditions. I spoke with Rosalynn Carter about stigma and treatments. Rosalynn Carter emphasized that “mental illness” is “an illness like any other illness.” It can be diagnosed and treated, and almost everyone suffering from one of these disorders can be helped. The problem is access to help and the stigma associated with obtaining healthcare. Much of the stigma related to these brain disorders was created because of our nation’s past history of institutionalizing people with these illnesses. 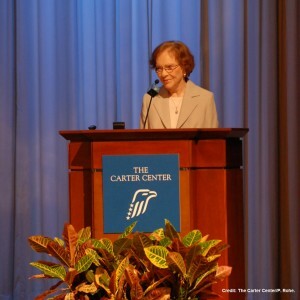 As a result, Rosalynn Carter’s efforts have focused on educating people on these disorders in order to reduce the stigma associated with our nation’s health practitioners having gone to such extremes as removing people from society simply because their symptoms were misunderstood. Stigma in these modern times has not changed much. In fact, Rosalynn Carter said it may even be increasing. It is difficult for her to understand why the stigma still exists today when at least one in four adults in the United States is diagnosed with a mental health condition, she said. Through The Carter Center, Rosalynn Carter has focused on strategies to reduce stigma and discrimination. As with any form of prejudice, the answer begins with education. Rosalynn Carter stressed the need for internists to be trained to recognize symptoms, make the diagnosis, treat the condition, and know the resources in community for referral and support. However, she found, after enormous efforts, that medical schools were resistant to incorporating this type of coursework into their curriculums, and there is no umbrella organization that can make it a requirement. The Carter Center for Mental Health created its Primary Care Initiative to tackle this problem. It is an especially important initiative, because many primary care physicians are not well trained on diagnosing or treating these brain disorders. Indeed, according to the Carter Center, depression is too often misdiagnosed and only one third of patients treated for depression in the primary care setting have any type of meaningful improvement in their condition. (This may be due to ineffective treatments. See JAMA article.) At the root of this problem is stigma among medical practitioners, despite the improved understanding of “mental illnesses” being biological brain disorders no different from any other brain disorders. The media is another area where Rosalynn Carter focuses, because the media has contributed to stigmatization of these brain conditions. Too often journalists and reporters refer to the symptoms of these brain disorders as “bizarre” and other derogatory terms. To combat this problem, Rosalynn Carter created The Rosalynn Carter Fellowships For Mental Health Journalism to educate journalists. Rosalynn Carter recently led The Rosalynn Carter Symposium on Mental Health Policy, which focused on building services and support for children at risk for developing brain disorders related to psychological trauma. The holiday season is a good time to talk about brain disorders. The kind I’m talking about are more commonly referred to as mental illness, but I think that term detracts from the fact that depression, anxiety disorders, bipolar disorder, schizophrenia, dementia and other such conditions arise in the brain. I think it allows us to consider them less important than “real” brain disorders, such as tumors and strokes. Mental illnesses are too often tossed aside as conditions that take place in the mind. (Last I knew, the mind was in the brain, and the brain is a pretty important organ — I think you’ll agree.) I see people wearing pink ribbons for breast cancer and other colors for other diseases and rallying around them to raise money for research to eradicate these awful diseases. (And more power to these people.) But save for autism, I see little energy going into standing up for people suffering from stigmatized brain disorders that affect thoughts and emotions and that leave their hosts losing out to fulfilling their potential. If it takes selfishness to motivate people to rally around a cause, then consider all that we miss out on — discoveries and advances in various fields that are left undone because these sufferers may not be able to function at the high rate they otherwise would. You can also think about your wallet, because the cost in lost productivity and therapeutic (and only weakly effective) measures ultimately cost us in terms of taxes or reduced profits. And if you think you are immune from developing such a condition, think again. In one study, nearly half (43 percent) of older Americans will have Alzheimer’s disease by age 85 — and that’s just one form of dementia. Having a brain disorder leaves you vulnerable at any age, but having one when you’re a child or a senior citizen leaves you especially vulnerable. It is true that there is research going on, but too often I see the same research being done again and again using antidepressants. However, a landmark paper published in JAMA Jan. 6, 2010, that reviewed nearly 30 years of studies found that antidepressants are no more effective than placebos (sugar pills) for those people with mild to moderate depression. (This is not to say come off your medication if you are taking it, but that research needs to be done outside of antidepressants.) Further, many of the psychotropic medications — drugs used to treat so-called mental health disorders — have serious side effects, including substantial weight gain, metabolic syndrome and tardive dyskinesia. Money is a factor, understandably. So it surprises me that funding is seemingly not being given to larger studies that would validate the findings of innovative small studies that have shown real possibilities for using inexpensive treatments, such as Tylenol to treat emotional pain (emotional pain is pain, after all — think heartbreak) and Vitamin B8 to treat obsessive compulsive disorder (OCD). I chose the holidays to address these particular types of brain disorders, because many people feel depressed at this time of year. I’m hoping that feeling will give way to empathy long after your depression lifts with the promise of a new year. For this series, I have interviewed former First Lady Rosalynn Carter, who has been an unrelenting crusader for people suffering from brain disorders, Emmy-award winning actress Patty Duke, who has bipolar disorder and who speaks about bipolar around the country, and former Congressman Patrick Kennedy, who has been a relentless fighter for the rights of people with brain disorders to have their diagnoses be covered by insurance like any other medical disorder and whose focus has now become understanding the etiology of brain disorders and changing the way we perceive brain disorders by looking at them through the eyes of our soldiers. I’m placing links to their nonprofits below. I want to point out, though, that neither Mrs. Carter or her organization or Mr. Kennedy asked me to link to their websites, but I suspect they’d be pleased if you’d support their efforts. Jillian Rose Reed stars on MTV’s offbeat comedy Awkward (which has been picked up for a second season) as the sassy and fun-loving best friend Tamara. Now 19, Jillian was only 9 years old when her older brother developed diabetes. He was away at college, which she notes made it especially frightening for him and the entire family. There was a lot of worry and fear, she told me, until he got diagnosed and got his diabetes under control. Even after that, life didn’t go on an even keel. He nearly slipped into a diabetic coma before seeking medical help once when he was sick, because he didn’t understand the complexities and potential complications of this medical condition. There are an estimated 25.8 million people in the United States who have diabetes — 7 million of whom are undiagnosed. Complications include heart disease and stroke, high blood pressure, blindness, kidney disease, neuropathy, and amputation. Type 1 diabetes, the type Jillian’s brother has, where the body does not produce insulin, is usually diagnosed in children and young adults and makes up only 5 percent of all diabetes cases. Jillian’s advice to others in similar situations is to just be there for your sibling. “It’s such a hard thing,” she said. It’s traumatic and involves an entire lifetime change of diet and routine when you’re insulin-dependent, she explained. That’s why Jillian is taking action to help raise money to prevent and treat diabetes. She’s joined ranks with the American Diabetes Association for Los Angeles and will be speaking at the Los Angeles Step Out: Walk to Stop Diabetes on Sunday, October 2, 2011. The fundraiser is a 3-mile walk through movie and television history, complete with a yellow brick road and the opportunity to meet characters, such as Luke Skywalker. Watch for Jillian’s tweets (@JillianRoseReed) about it and how you can help raise funds to prevent and cure diabetes. Meanwhile, Jillian is trying to reduce her chances of developing diabetes by exercising and eating healthy, which is especially hard for a teenager. She admits she’s far from perfect, but she’s trying. Anyone who’s had a child sick with the flu knows how stressful it can be to take care of him or her. Now imagine what it’s like to become a caretaker to a chronically sick child, parent, or other family member. Some 13 years ago, Leeza Gibbons, former co-host of Entertainment Tonight, fell into the role of caregiver, along with her siblings, for her mother, who was diagnosed with Alzheimer’s disease. Alzheimer’s disease is a progressive brain disorder characterized by dementia, which is a loss of memory and cognitive (thinking) skills. There are also personality changes in the later stages of the disease where the person with Alzheimer’s may lash out at the caretaker, show fear, and have other distinct changes in personality and behavior. Leeza told me how her mother would get up n the middle of the night and wander and fall. Leeza went home to South Carolina when her mother first suspected she had the early stages of Alzheimer’s to decode her mother’s symptoms and get a diagnosis. It was a tsunami of shock, Leeza told me. She sees now that she coped with such a life-changing diagnosis of a loved one by immersing herself into trying to find answers via research to fix her mother’s disease. 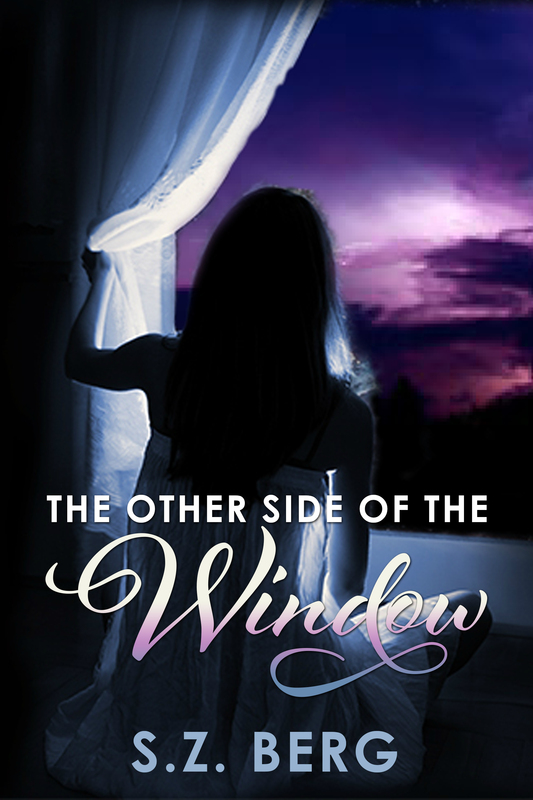 But Leeza developed depression and struggled with sleeplessness. She described it like this: “I was just wound up as tight as I could be [from anxiety].” And her anxiety affected everything in her life. Meanwhile, she says, her mother just needed her. Over the years, Leeza witnessed her mother progressively degenerating. Ironically, Leeza, like other long-term caregivers, was on a somewhat parallel path. “Caregiver fatigue” placed her at increased risk of stroke, heart disease, and a long list of other medical conditions and already she suffered as a consequence of her role as caregiver from depression, another risk for caregivers. But Leeza’s mother helped ease some of the burden by accepting the diagnosis, asking for what she needed, and telling Leeza what she wanted, which helped in drawing some of her mother’s friends back. People don’t understand dementia and some withdraw, Leeza said. (That’s true of many long-term medical conditions and diseases.) The earlier you get real with the diagnosis, the sooner you can line up your team, Leeza said. Leeza told me that the team won’t include everyone, because everyone won’t have what it takes to get on their battle gear. While being a caregiver can take its toll, having a caregiver — advocacy and the demonstration of love — is so important to the person with the medical condition or disease that I wrote about the devastating effects of not having one in Mind Games.